Just bring your suitcase and fishing poles! 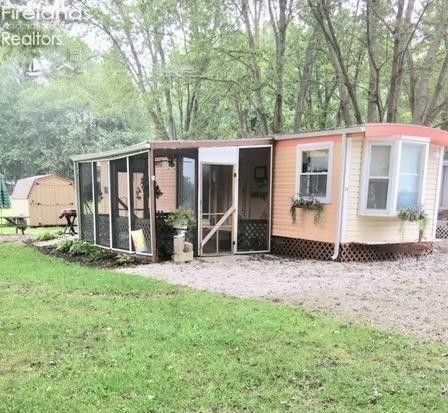 uPDATED mOBIL hOME ON END LOT...Newer Carpet/HWTank/ fully furnished and ready for your enjoyment and boating fun. Includes Mobile Home 1965 Pacemaker, Boat Sun Tracker Part Barg 1997 20.6 ft and boat trailer 1999 Shore Land'R Boat Trailer. THis is a season Park with dockage (boat slip) included in seasonal rent. Rent for season due in two payments Due Nov1 and March 15. 2019 season 1450.00.